Chandler is a city in Maricopa County, Arizona US. According to the US Census Bureau's, Population Division 2006 estimate the population was a 240,595. Chandler is prominent suburb of the Phoenix Metropolitan Statistical Area (MSA). The city contains a large number of modest tract homes. It also has satellite locations for the technology companies Intel and Orbital Sciences Corporation. City of Chandler will continue to grow as a bright spot in for new mix town home and Arizona real estate Companies, complete with shops, restaurants, office space, town houses, condominiums and hotel. Chandler Republic, local newspapers reported that this prestigious project would be divided into 4 developments: South Shore, Downtown Ocotillo, Metropolitan and San Marcos Common at almost 102 acres in total size. These areas of development have been planned for residential, retail, office, restaurants and hotel. 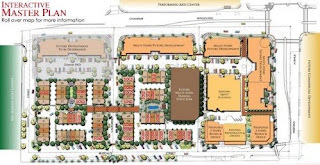 In 2009, it could be a stronger year for Chandler in terms of mixed-use development project, beside the recession today. As, City Council said ok on south chandler development, it seem developers have a vision to plan Chandler as the next great urban living experience. People also have occupied some house at San Marcos Commons in Downtown Chandler. Downtown Ocotillo (South of Queen Creek Road between Price and Dobson Road) reported also already open. It seem several location has been occupied and opened recently to start great urban living experience in Chandler reported Arizona Republic, Local Newspaper. Although in this economic situation, this large-scale development will face big challenge of getting financing, but it wills not slowdown the development. Like South Shore, Doug Stephan of Scottsdale-based Nautica Development Group and Scottsdale investor Barry Talley has developed that. Construction that will cost more than $150 million is could begin at early in 2010 and first phase scheduled will be finished in mid-2011. Here is san marcos chandler Common development, take location at Southwest of Chandler Boulevard and Arizona Avenue, size of development 15 acres, 79 town house, retail 75,000 square feet , office 68,000 square feet, restaurants 29,000 square feet. 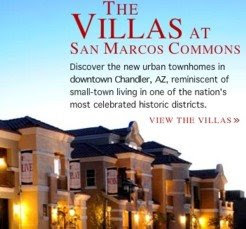 San Marcos Chandler is one of the first residential communities in downtown Chandler. You can see the master plan at the picture below. Mike Hogarty, co-owner of Desert Viking says, “Revenues for his company increased in 2008. But Sales prices on residential properties are down”. Actually, Hogarty current venture is San Marcos Common, a three block residential and commercial project in Downtown Chandler. Seventy-Nine town homes are being built across from historic San Marcos Hotel. 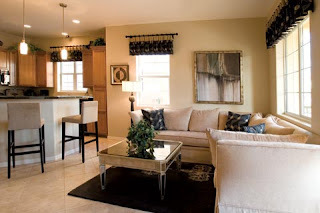 Beside the company intensified its marketing both online or offline he said, “We have adjusted pricing to remain the best value in the East Valley for new townhomes.” It would be interesting offer chandler az homes for sale in the new bright spot City of Chandler. bro ..blogku yg mana yg gak ada postingannya....? @Ixanova:o udh ada lagi yah..knp tadi pagi di cek ngga ada yah?